S K Jani & Co.
PTI provides a complete range of electrodynamic Dynamic Shaker Systems, Head Expanders, Combo base Slip Tables and Fixtures. Spectral Dynamics offers both water cooled, and air cooled the series of shakers. 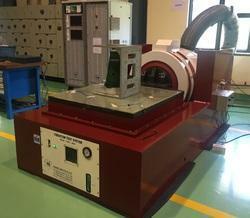 Application PCB board testing, Durability testing, product testing for fatigue analysis. With the various demands and requirements of the clients, we are presenting an extensive range of Electrodynamic Shakers. The sturdy construction and high reliability of these Electrodynamic Shakers increases their demand in the market. 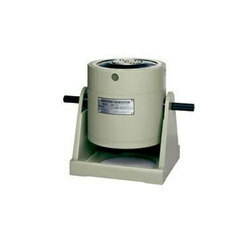 Also, we offer these Electrodynamic Shakers to the clients at economic rates. - The best impedance matching between shaker and power amplifier. Our company holds immense experience in this domain and is involved in offering a wide assortment of Electrodynamic Shaker.